The staff at the Ibis Porto Sul Europarque Hotel welcomes you and wishes you a great stay. Take the opportunity to unwind and relax in our natural surroundings. 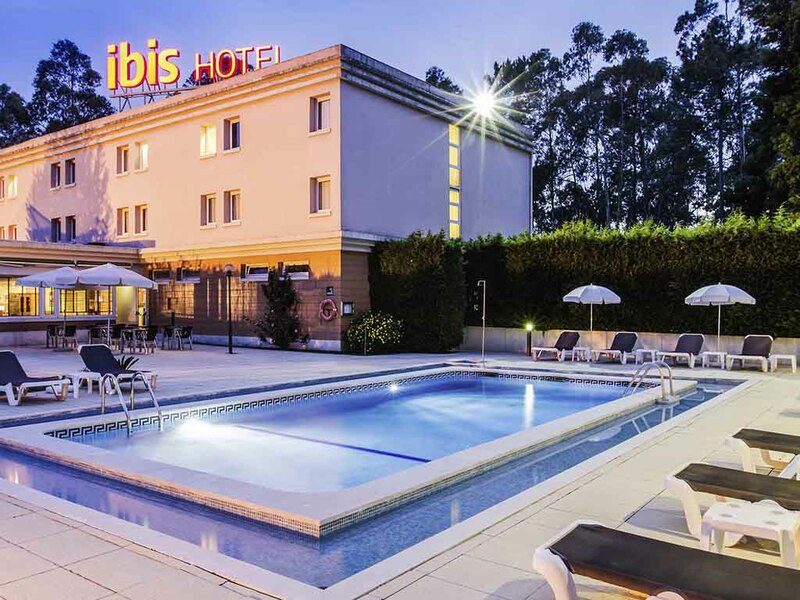 Ibis Porto Sul Europarque is situated in Santa Maria da Feira, next to the C Congressos Europarque and 15 km from the beaches of Espinho and Esmoriz. With great access to the main highways-A1+A29, the Porto center is just 30 minutes away. Relax in one of our comfortable rooms or in the swimming pool and enjoy free access to the WiFi and parking. In our Bar, discover the service of drinks and light meals, hot or cold, which offers options for all tastes, available 24/7. Historic city! Visit the castle, the Caldas de São Jorge spa and beaches. Go back in time with the Viagem Medieval (Medieval Travel). Breakfast buffet until 12:00. Bar and light meals 24h/24h (Ibis menu). Discover the simple, healthy and tasty Ibis menu. A service of drinks and light meals, hot or cold, for all tastes. Available for orders at the bar or reception 24/7 to savor when and where you want. Even the bar provides a relaxing atmosphere; the Ibis bar is the ideal place for meetings or taking a minute to relax at any time of day.